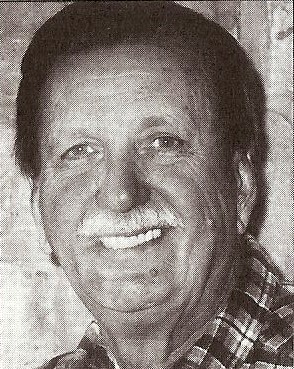 Tom Witherspoon is a Unity minister who served at Unity at the Lake in South Lake Tahoe and was also senior minister of Unity Church of Melbourne in Florida from 1984 to 1999. He was formerly a newspaper editor and publisher, as well as an editor at Unity School of Christianity. Among the numerous magazines to which he has contributed articles are Daily Word, Unity Magazine, and Wee Wisdom. He wrote The Peace That Passes All Misunderstanding, published by Unity Books in 1988 and Myrtle Fillmore, Mother of Unity, published by Unity Books in 1977. Among his hobbies are mountain climbing, golf, reading and travel. I invite those who know Tom and who have been blessed by Tom and his ministry to add a comment below. Tom Witherspoon is perhaps my favorite of all the Unity teachers listed on this website. I believe this is for two reasons. First, Tom Witherspoon teaches in a relaxed and loving way. His enthusiasm for the Unity movement and its founders, especially Myrtle Fillmore, is inspiring. But even more important is the depth of knowledge that he brings to his lectures. Tom Witherspoon does not just repeat information got from other sources. His training as a newspaper reporter prior to entering the ministry is evident by the amount of material he has gathered first hand and has shared with us. Without doubt, Tom Witherspoon's contribution to our understanding of the history of Unity is under-appreciated. Rev Thomas Witherspoon made his transition on August 11, 2013, with his wife Jan and son at his side. He authored Myrtle Fillmore: Mother of Unity, had been editor of Unity Magazine (1976-84), and served spiritual communities in Florida and California. His last active ministry was at Unity Church of the Valley, La Crescenta, Calif. We thank Tom for his committed service over many years to Unity and to spreading its message.